Michael Anthony: "Being kicked out of Van Halen hurt"
"They tried to erase me from the band"
For Michael Anthony, forming the new supergroup Chickenfoot with Sammy Hagar, guitarist Joe Satriani and drummer Chad Smith, has been "a Godsend. You don't expect to get into something this incredible at my age." Being that the bassist spent much of his adult life as a founding member of Van Halen, he knows of where he speaks. In an exclusive interview with MusicRadar, Anthony recalls his shock of how he heard that Van Halen were reforming with singer David Lee Roth, an event he wasn't to be a part of. "They took my pictures off the old record covers and replaced them with Wolfgang. Even the first album cover." "I found out when the rest of the fans found out, early last year," says Anthony. "I guess they tried to put something together earlier but it fell apart and Eddie had to go to rehab or something." Being replaced by Eddie Van Halen's then-16-year-old son Wolfgang was a bitter blow, but it didn't compare to the sting Anthony felt when he clicked on the group's website and discovered that "they took my pictures off the old record covers and replaced them with Wolfgang. Even the first album cover. "I mean, to think that somebody would go to the trouble of trying to erase me from the band's past, that hurt. But I think the fans felt the same way because a day or two later the website was changed and my pictures were put back." Anthony's ego is very much restored with Chickenfoot, who are finishing their debut album under the guidance of producer Andy Johns. "In terms of pure enegry, Chickenfoot is like early Van Halen," he says. "It's four guys jammin' hard and playing live, which became less and less what Van Halen was all about as the years went on. We've gotten back to that, and it feels great." 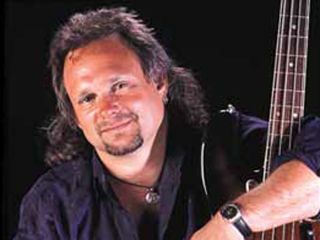 Look for the full podcast interview with Michael Anthony on MusicRadar in the coming weeks.